WaayCool Handlines, located in north Alabama, has been manufacturing fishing handlines since 2006, with US and international sales coming primarily via direct internet sales (waaycool.com) and also through a few select retailers. Over the years, handline fishing accessories (shock absorbers, gloves, handline handles, lures, swivels, hooks, etc) have been added to the product line. The company is structured as a single member LLC, “WaayCool, LLC”, owned by Mark Thimsen, the single member. Every handline component is chosen for quality and performance, and each handline is carefully crafted by Mark. How it All Started: Mark started the company after a request for a Christmas gift of two handlines for a close friend on Kwajalein. (The locals in Micronesia use handlines extensively – necessary due to the large shark population taking many of the fish hooked on a rod and reel because reeling in fish takes much longer than pulling in fish on a handline.) A web search revealed no suitable deep sea handline products on the market. So the first WaayCool handline, initially based on the best locally designed handline at the time by Capt Dave Wallner, was pretty expensive (retail prices, minimum quantities, and shipping costs for every component) but very much appreciated. Timeline: The first WaayCool deep sea handlines were made and sold on Kwajalein island in 2006. Soon after a rudimentary website was established primarily to educate potential customers. Increasing sales coupled with some basic business research led to the formation of a Delaware limited liability company, “WaayCool, LLC”, in March 2007. Steady improvements were made to the handline design (3-strand braided mono, custom rope manufacturing, top shelf swivels, rope-to-mono transition technology, etc) over the next few years. The original LLC was dissolved at the end of 2015 with a new LLC established in Alabama in 2016. POP Hawaii (now POP Fishing & Marine) became the first retailer to carry WaayCool’s deep sea handlines in October 2007. Throughout 2007 and 2008, several kayak fishermen approached WaayCool to develop a more compact handline specifically for them. 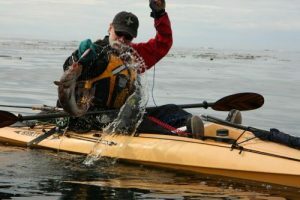 With the help of Rob Lyon, a kayak expedition leader in the Pacific Northwest, WaayCool’s Kayak handline product was developed. The Kayak handline was a quick success with sales volume in 2011 matching that of the already well established deep sea handlines. Alder Creek Kayak & Canoe began carrying the WaayCool kayak handlines in 2009 (as did POP Fishing & Marine) with West Maui Sports & Fishing Supply coming on board in 2011. The initial website was replaced in 2012 with added capability of PayPal payments, along with a simple shopping cart and shipping calculator (USPS only). In 2016 a new web developer was brought on board and further improvements were made with the culmination of a redesigned, product-focused website in 2017 with improvements in the shopping cart, new FedEx shipping, and acceptance of BitCoin payments. WaayCool’s owner, Mark Thimsen, has always enjoyed fishing. He developed a love of fishing while growing up in the Marshall Islands in Micronesia. This carried over to albacore fishing off San Diego and trout fishing in California’s Sierra mountains and San Bernadino National Forest. 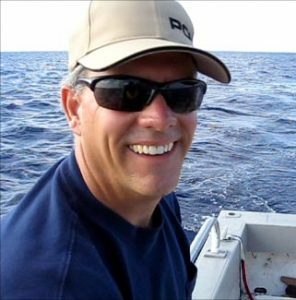 Mark returned to the Marshall Islands in 1998 and spent 10 years deep sea fishing around Kwajalein atoll, including numerous trips to Lib island and one memorable week of fishing at Bikini atoll. Mark now lives in north Alabama and is learning to bass fish but his passion remains with off shore bluewater fishing. Mark applies this passion to his WaayCool handlines. Every handline component was chosen for quality and performance, and each handline is carefully crafted by Mark. Mark enjoys the fishing community and, for those customers not familiar with handline fishing, he especially enjoys educating and answering questions. WaayCool Handlines, located in north Alabama, has been manufacturing fishing handlines since 2006. Sales (83% US, 17% foreign) are primarily through the internet (waaycool.com) and through select retailers. The company is structured as a LLC, owned by Mark Thimsen. Every handline component is chosen for quality and performance, and each handline is carefully crafted by Mark.